Frances, Holly and Rosie are here to help give you the inside track. 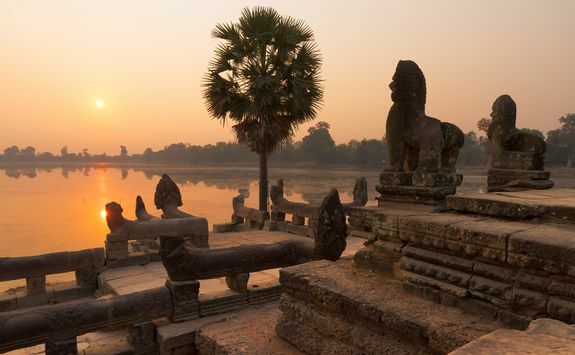 Unravel the past at Angkor, the ancient heart of the Khmer Empire, exploring its many temples at a leisurely pace. 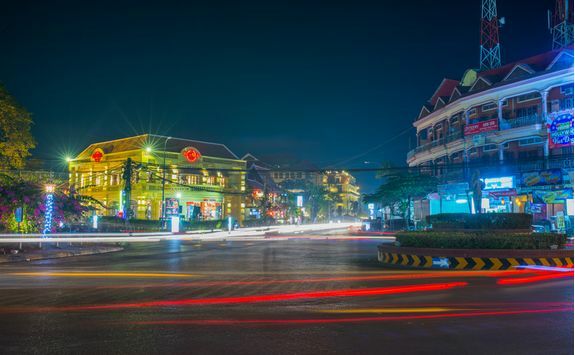 Later the buzzing present day capital, Phnom Penh with colonial Kep. 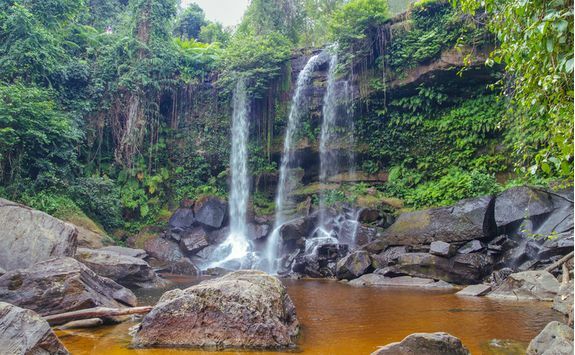 Unwind in the verdant settings of the Cardamom Mountains with a stay at a luxury floating lodge. 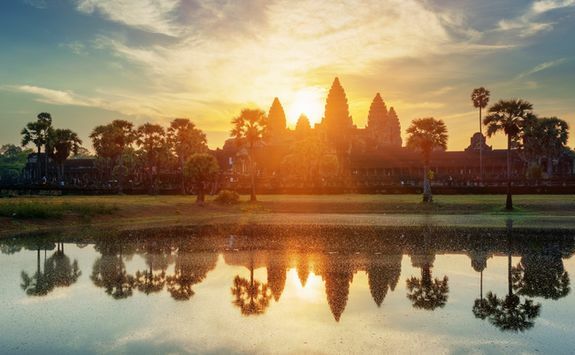 Today (most likely in the afternoon, depending on your routing) you will board an overnight flight from London to Siem Reap, connecting through your chosen hub city in Southeast Asia. 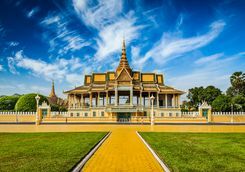 Options include routing through Singapore and Bangkok, and the combined flight times should be in the region of 14 or 15 hours with a roughly two-hour connection. Make sure the children's iPads are fully charged and loaded with movies! 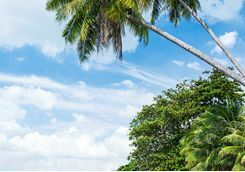 Disembark your connecting flight where your family can enjoy our special VIP arrivals package. Your personal immigration officer will greet you, assist with the visa application process and immigration formalities and enable you to skip the queues. 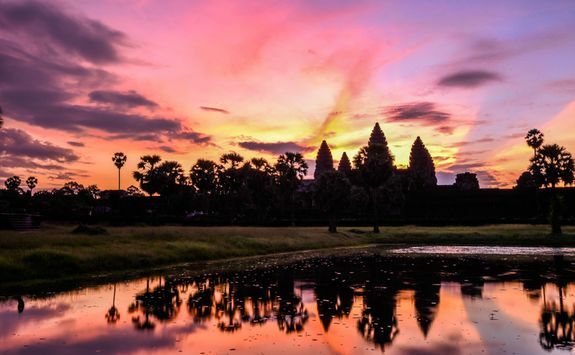 You'll have a private transfer to the hotel of your choice, where we've provided an Angkor guidebook to acquaint you with the temples and useful information about your stay in Siem Reap. 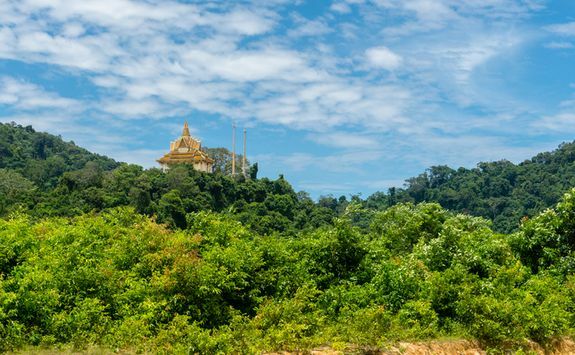 This morning saddle up for a cycling tour of the Temples of the Forest. 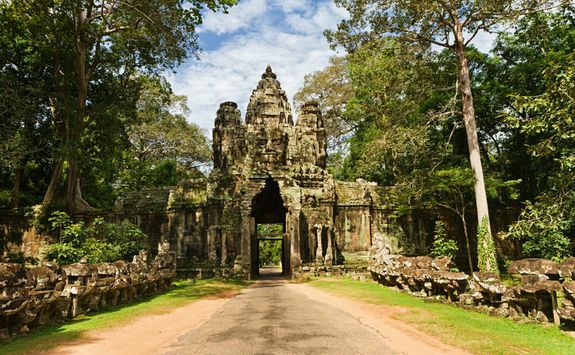 Beginning at Srah Srang, pedal to the gate of Ta Prohm, the temple which featured in Tomb Raider. 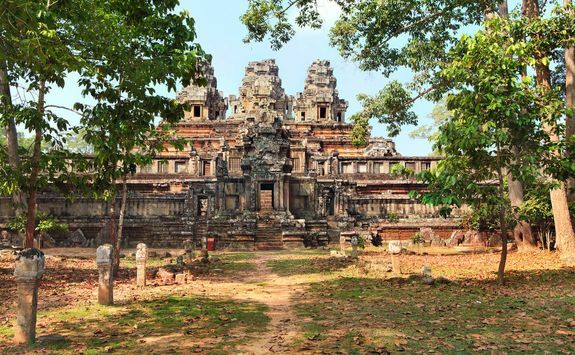 On foot, the family can explore the giant kapok roots which wind through the temple's stones. 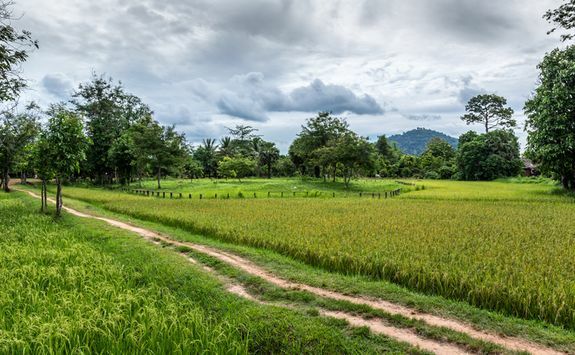 Back on your bikes, it's time to explore Ta Nei. At this time of day, you might even get the place to yourselves. 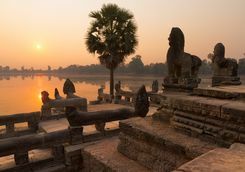 After refuelling with a picnic breakfast, you'll end the morning at the pyramid temple of Ta Keo. 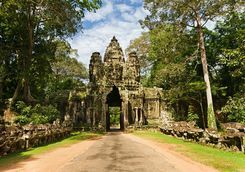 After a break for lunch in Siem Reap, this afternoon's activities include a scavenger hunt around the ancient abandoned city of Angkor Thom. 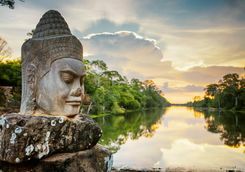 Take your cameras to snap proof that you've solved the clues that will lead you around such landmarks as the Terrace of the Leper King, Preah Palilay, Phimeanakas and, of course, the famous faces of the Bayon. 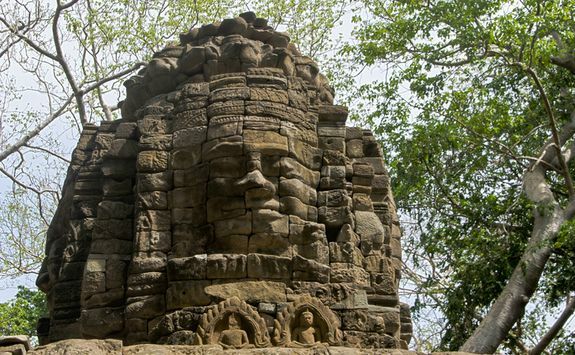 Set off this morning towards the Thai border, destination: the remote Banteay Chhmar temple. These days people refer to this as the Citadel of the Cat, although Chhmar once just meant small. 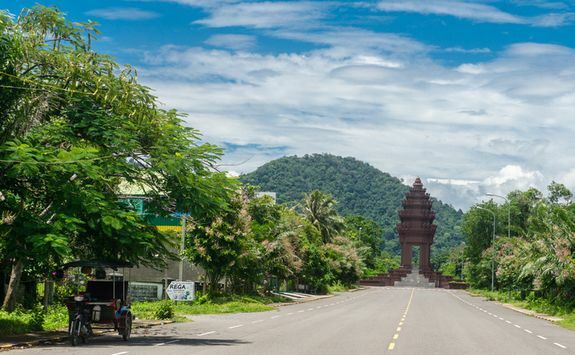 You'll pass villages, markets and the lushly vegetated Cambodian countryside during the drive. 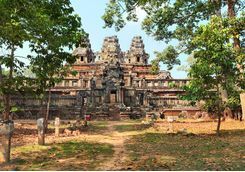 Unpack at your homestay and then set off to explore the massive temple complex. Later this afternoon, we've arranged a visit to the village silk centre where you and the children will learn how this luxurious fabric is woven and dyed. Dinner tonight can be taken in the community restaurant or in your host's home. 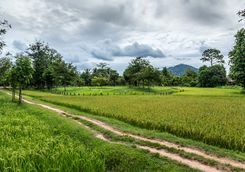 Retrace your steps to Siem Reap while enjoying the rural scenery once more from your private vehicle. 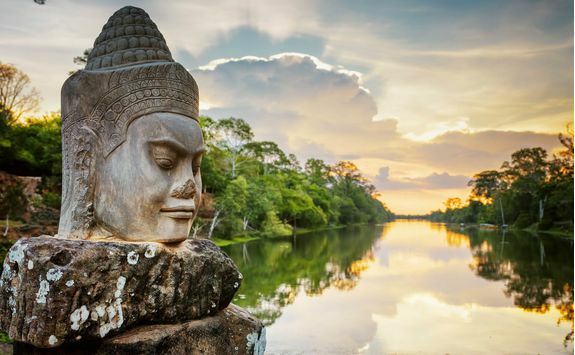 You'll have chance to relax this afternoon or head out to discover what Siem Reap has to offer. This evening, you'll head to the fair. Every night, a local night market and funfair sets up at Kyung Yu in fields on the edge of town. It's a lively spot and all the family will enjoy trying their luck at the games. You might even win a small prize if your aim is good enough - which member of the family can pop a balloon with a dart or knock over cans by throwing a ball? 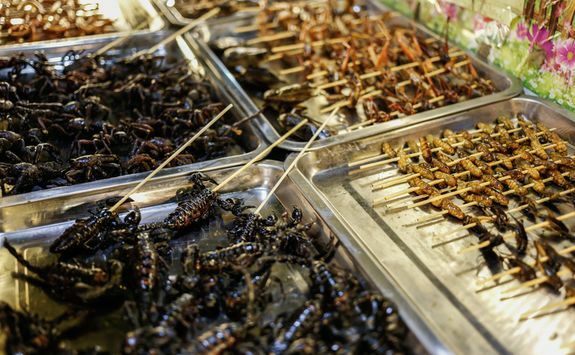 If you're feeling adventurous, you could try some of the local snacks: will you choose from spiders, beetles or crickets? Perhaps you'll be brave enough to eat all three! 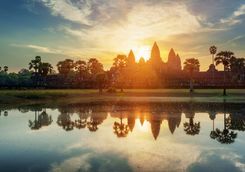 At first light, the sun's rays appear behind Angkor Wat's distinctive lotus-shaped towers, flooding the sky with an ethereal rose glow. 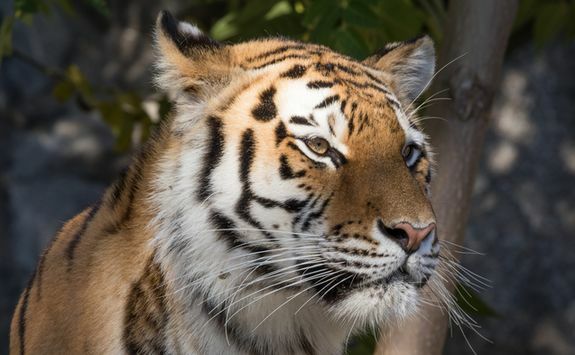 It's a magical moment, and the whole family will be in awe at this magnificent sight. 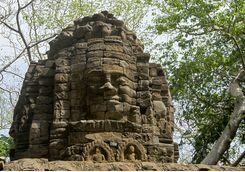 Once a Hindu mountain temple and later converted to a Buddhist monument, this is Cambodia's most spectacular sight and one to be savoured. 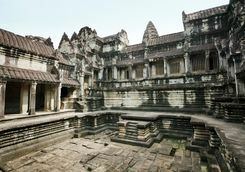 Wander its courtyards and corridors to gaze at its intricate bas-reliefs, which depict battles and tales from Hindu mythology. 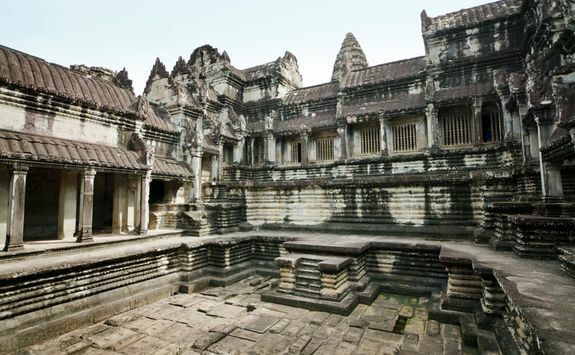 Climb the steep steps up to the Bakan, Angkor Wat's inner sanctuary, for views across the surrounding countryside. 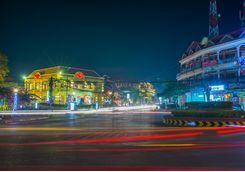 Later, you'll transfer to the airport for the short hop to Phnom Penh. You'll be met on arrival for your hotel transfer and afterwards will have time to relax and unwind after today's early start. 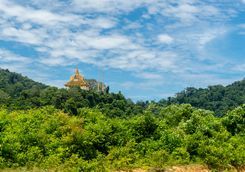 The Bakan is off-limits on Buddhist holy days, but we’ll make every effort to ensure that your visit doesn’t clash. Phnom Penh's chaos and bustle doesn't extend far - in the immediate surroundings of the Cambodian capital you'll encounter tranquil countryside. 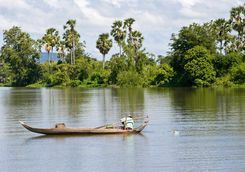 This morning, you'll cycle along a 15 mile route which takes you to the islands of the Mekong via back roads and dirt tracks. 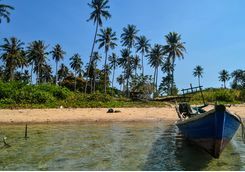 Catching a ferry over to the islands, you'll pass through Cham Muslim communities, orchards and market gardens. 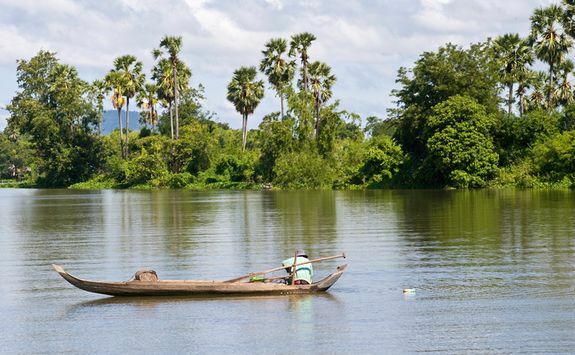 It's a chance to see what life is really like for Cambodians outside the city. 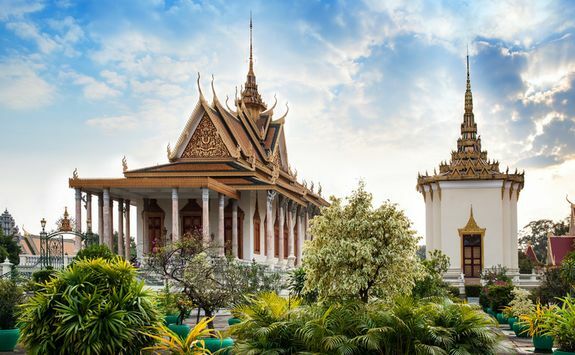 Later, you'll return to Phnom Penh and take a city tour. 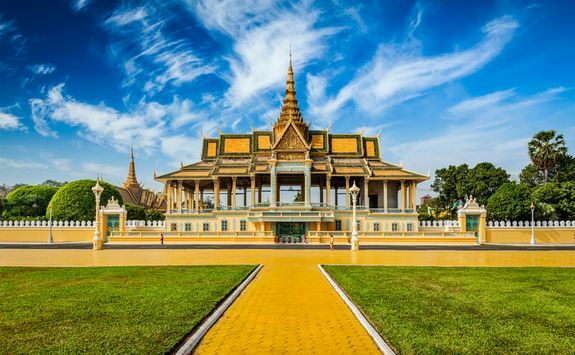 Admire the 19th century Royal Palace and the Silver Pagoda, its floor made up of over 5000 silver tiles. 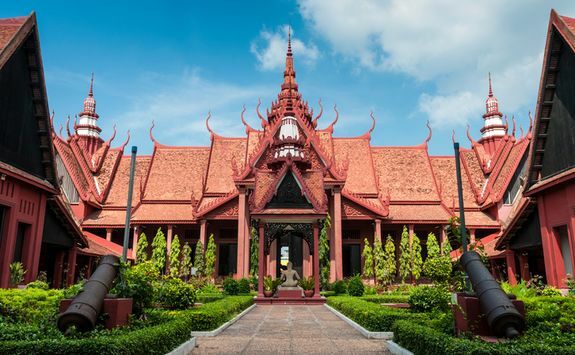 Take a look at the Khmer art on display at the National Museum, visit the small hill of Wat Phnom which gave the capital its name or shop for souvenirs in the boutiques on Street 240. 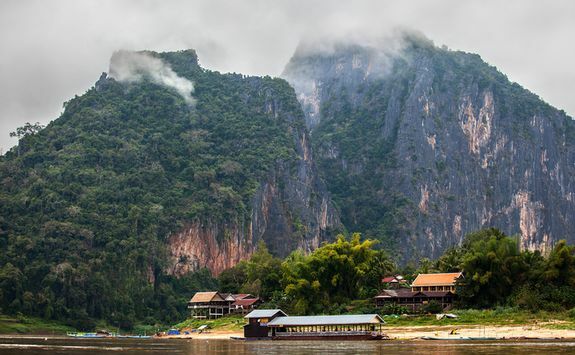 Tucked away in a tract of pristine tropical forest you'll find the Four Rivers Floating Lodge. Located in the Koh Kong Conservation Corridor in the heart of the Cardamom Mountains, it is home to endangered creatures such as Indochinese tigers and sun bears. 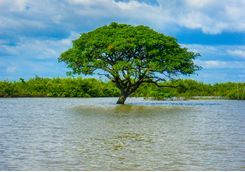 It is also home to Southeast Asia's largest coastal mangrove. 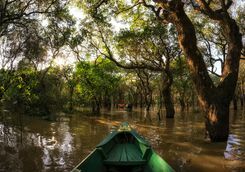 Committed to conservation principles, it's the ideal base if you plan to be messing around on the river. 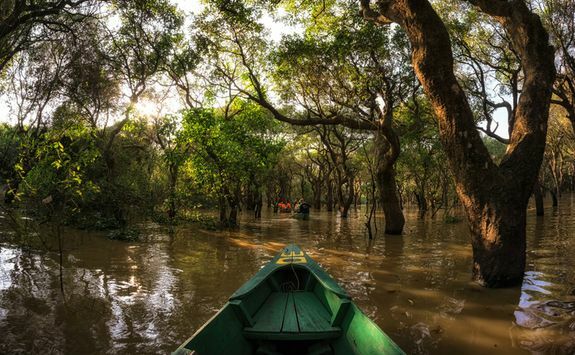 Slide along the calm waters in a kayak to the soundtrack of the rainforest's birds and other native creatures. 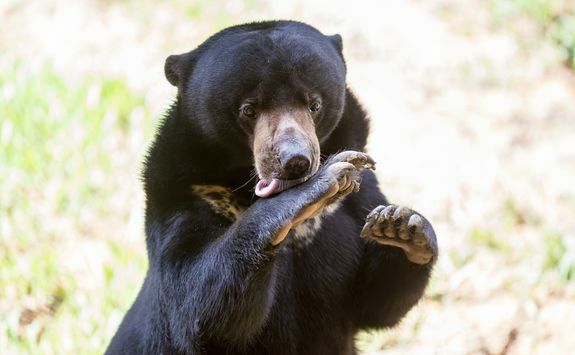 Your base will be a comfortable tented villa, where you'll be glamping in one of the smartest locations in Cambodia. This evening, relax and watch the sunset in this very special place. 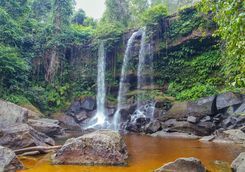 You'll be treated to another day on the Tatai River, this time to enjoy an excursion to its waterfalls. 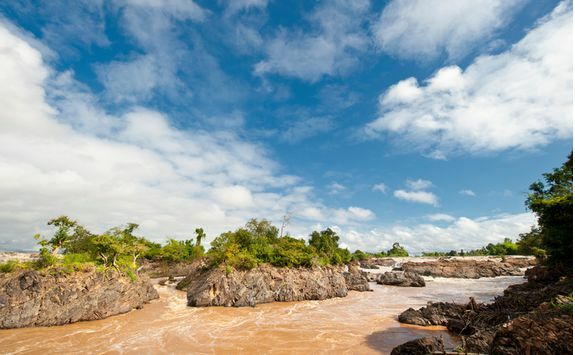 Cruise slowly by boat along the Tatai river. 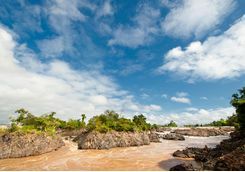 Its banks are lined with lush vegetation. An hour or so later, you'll reach the cascades. Mother Nature has strewn enormous boulders across the river, forcing the water to tumble over them. 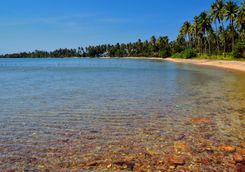 In dry season it's possible to swim here; in the wet the white water foams and splashes. At any time of year it's a beautiful sight. 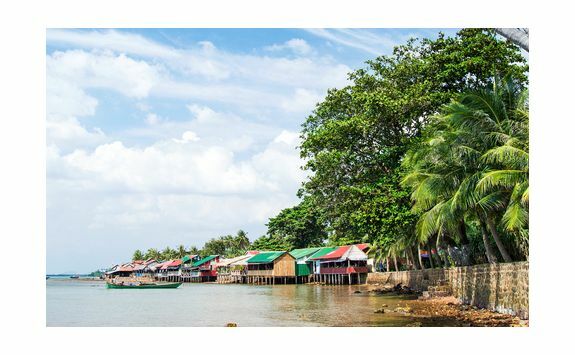 Hidden away in this verdant setting are the fishing communities which make their living from the clear waters. It's a privilege to explore this remote region and meet those who call it home. 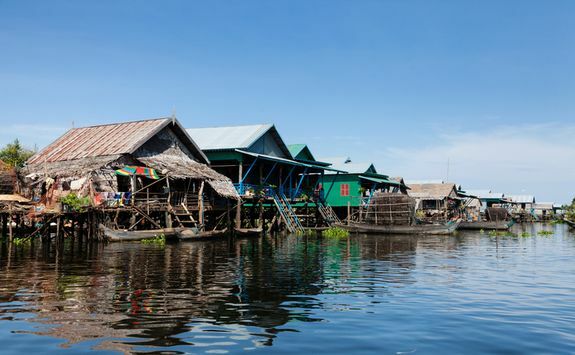 They live in precarious stilt houses by the water's edge. 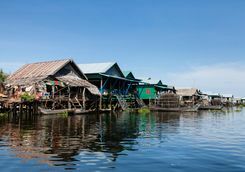 You can explore the narrow alleyways between these ingenious dwellings and learn a little about what everyday life is like for the Cham Muslims who reside here. Today's programme includes a delicious lunch. 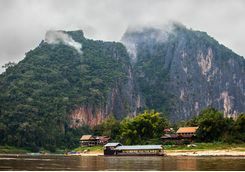 Leaving the delightful setting of Four Rivers Floating Lodge, it's time for you to make your way to the former French settlement of Kep. 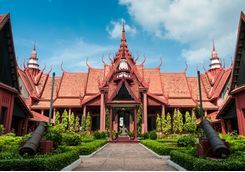 Often described as the jewel in the crown of Cambodia's colonial era towns, with once exclusive villas stretching along the waterfront. 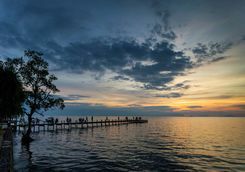 The sunset from its coastline is hard to beat and it is also renowned for its seafood, with rows of crab shacks lining the beach. Once you're settled in at your hotel, the afternoon's free for you to do as you please. 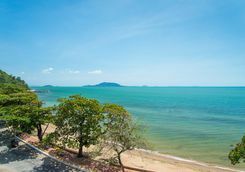 You might wish to take a dip in the pool or hike to the top of nearby Kep Hill from where you'll enjoy far reaching views over the Gulf of Thailand. 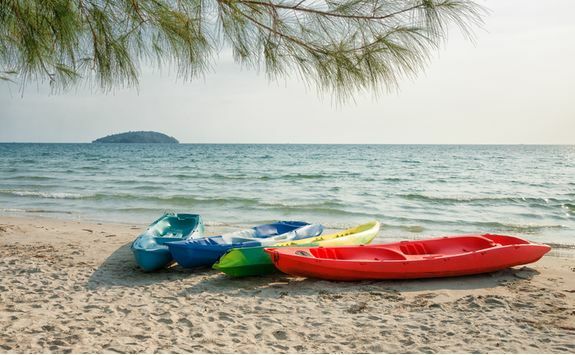 When it's cocktail hour, make your way to the pier of the Knai Bang Chatt Sailing Club for a well-deserved sundowner, or mocktail for the children. Today's free for you to explore as you please. 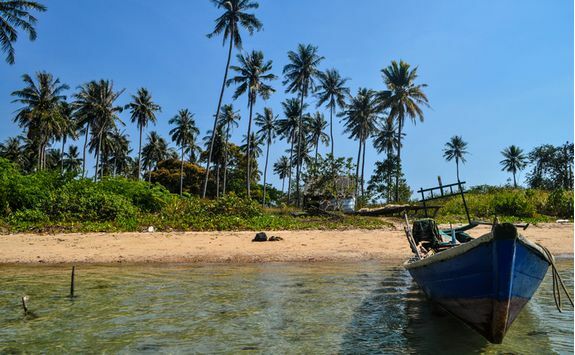 A popular day trip is an excursion to Koh Tonsay, also known as Rabbit Island. 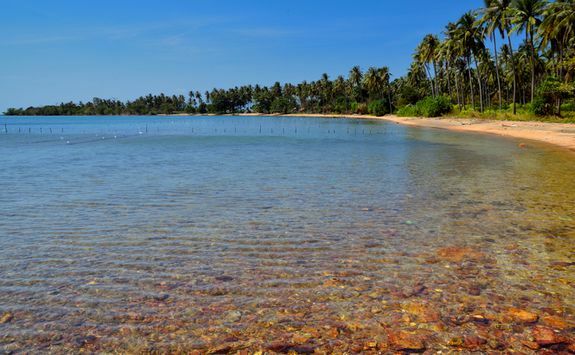 Only seven families call the island home, making a living catching fish and growing coconuts. The freshest seafood is served from the locally run shacks on the beach. 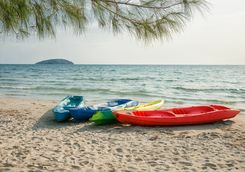 Alternatively, make the most of your waterside setting: rent Hobie cats, kayaks or even a speedboat from the hotel, or spend the day fishing. After a lazy morning, it's time to don your aprons for a cooking class. 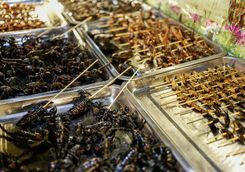 International chefs are beginning to wake up to the fact that Khmer cuisine is every bit as tasty as the more popular Thai and Vietnamese dishes commonly served across the world. 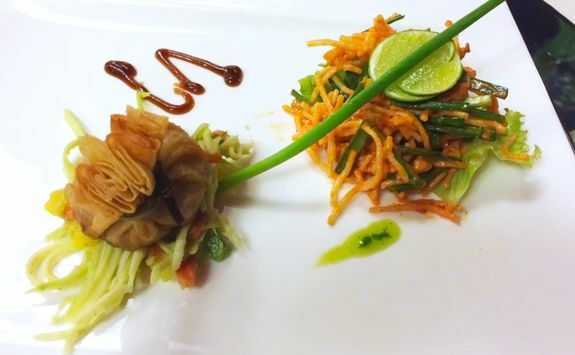 The Cambodian blend of flavoursome spices and contrasting textures make this an adventure for your taste buds. 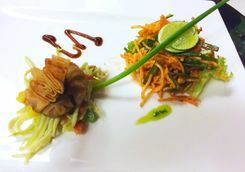 Favourite dishes include fish amok or salads focused on mango or banana blossom. You'll begin your half-day introduction with a visit to Kep's famous Crab market. Back at the resort, you'll be shown how to prepare three or four dishes before sitting down to try out what you've cooked. 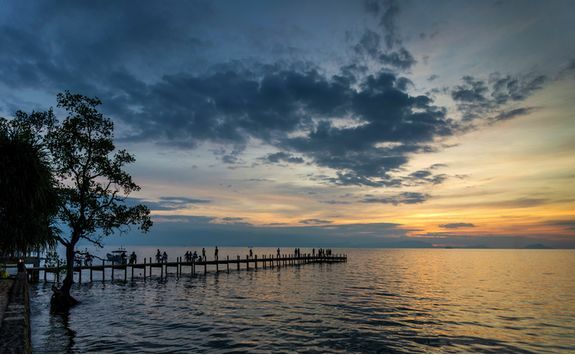 You'll be able to enjoy another leisurely day in Kep today. Tonight, you might opt to dine at the end of the Knai Bang Chatt Sailing Club's jetty. 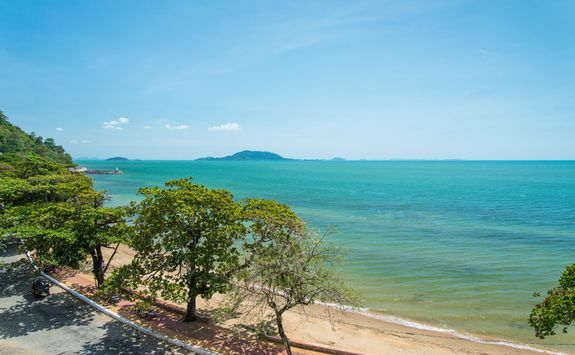 Your table is set amid one of the region's most spectacular settings, and you could feast on seafood against a backdrop of the mountains which frame this idyllic stretch of coast. 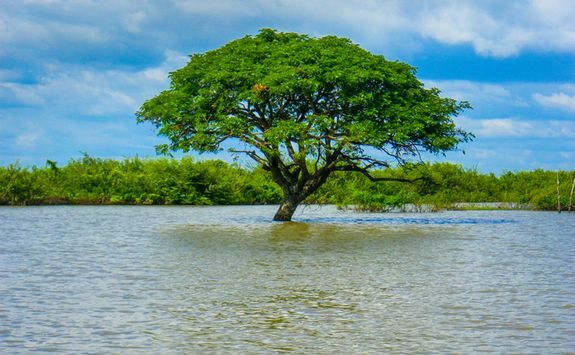 Sadly it's time for your Cambodian family adventure to end. 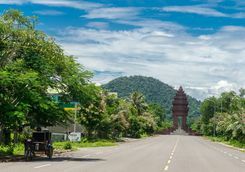 You'll transfer by road from Kep to Phnom Penh where you'll board a connecting flight. 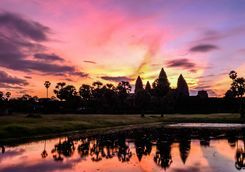 As before, you'll connect through a hub city in Southeast Asia en route back to the UK, once again flying overnight. 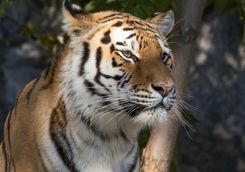 Frances, Holly and Rosie are our experts for this itinerary and as seasoned travellers they have the inside track on the most memorable adventures.